To stamp the typewriter and heart keys I flipped the Core over and stamped on the ungrained side for a clear image. 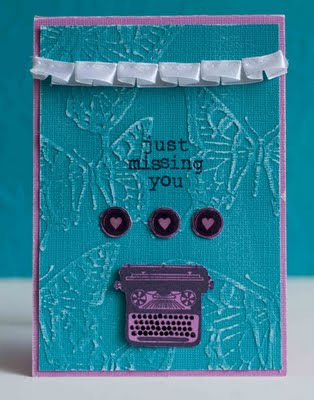 For the greeting, I decided I liked the idea of stamping directly on the embossed, sanded textured side. I added some glossy accents to the keys and some black enamel to the teeny typewriter keys, but generally the light sanding gives an aged, vintage look. The next card for my girl (for her second month of 100% on her monthly testing) I used the pre-embossed alpha core from the same Jenni Bowlin Core'dinations stack. This time I wanted the embossed letters to really stand out so I used a heavier grain of sandpaper and went to town with the sanding! So there you have it! Two cards that achieve different looks using the same product by sanding lightly or heavily--and not a piece of patterned paper in sight! ADORABLE cards! I really like the ideas-FANTASTIC! These are both great cards. 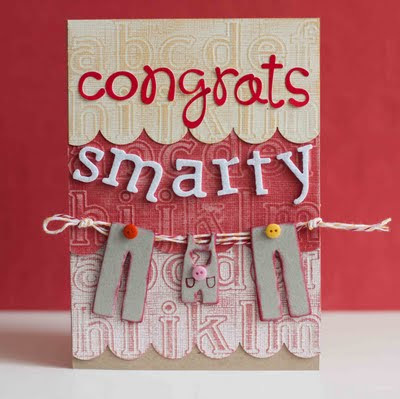 I really like the smarty pants cars - so clever! love love them both. the smarty pants with the pants is so darn cute! I came into scrapping right as patterned paper went OUT a few years back... the cardstock wasn't fab it was just stock... but it's really all we used! Core is so amazing! haha smarty pants! that is so cuuuuuute! I so love working with cardstock only at times! And the Core... really IS the BEST! 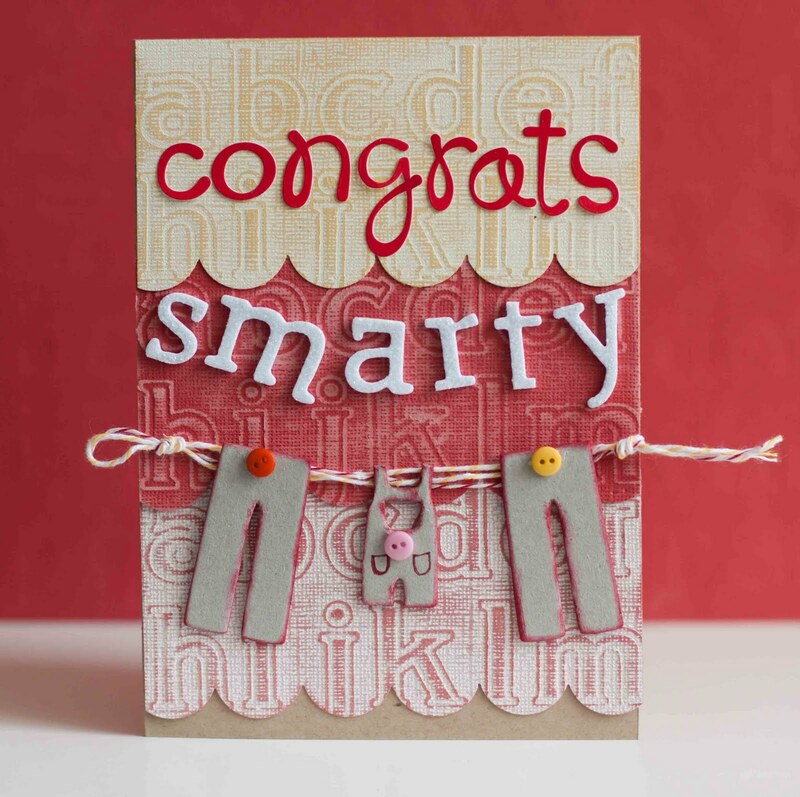 Both of your cards are insanely sweet... the smarty pants one is so fun!